Avery Dennison (AVY) just declared a quarterly dividend of 0.20/share, which represents a 50% decrease from last quarter’s payment of 0.41/share. The company reduced its dividend to support debt reduction efforts. The company also reported $0.56 in 2Q earnings per share, which didn’t provide sufficient coverage for the dividend. In a previous article I outlined Avery as one of the companies whose dividend are at risk. Avery Dennison has been unable to cover its dividend payment over the past several quarters. "The possibility of continued poor market conditions beyond 2009, along with increased pension funding requirements, compels us to take precautionary action," CEO Dean A. Scarborough said. This dividend cut ended Avery Dennison’s 32-year streak of consecutive annual dividend increases for this dividend aristocrat. The company last raised its distributions in December 2007. I didn’t own any stock in Avery, but If I did I would have sold it immediately after the news. Avery Dennison Corporation (AVY) is engaged in the production of pressure-sensitive materials, office products and a variety of tickets, tags, labels and other converted products. The Company's segments are Pressure-sensitive Materials, Retail Information Services and Office and Consumer Products. To open the spreadsheet in a new window, check here. One company, Rohm & Haas was taken over by Dow Chemical (DOW) in the first half of 2009. Checking the pulse of dividend increases is an exercise whose goal is to uncover potential dividend growth plays that I might have otherwise missed out on. Another reason for that is to refute the idea that dividend investing is dead. It is also interesting to look for trends in the data, while browsing through the list of dividend increasers. While the REITs have been slaughtered along with other financials, Master Limited Partnerships and consumer staples have done pretty well. But just because I wrote about a certain stock, does not mean that I am going to add it to my portfolio. I need to research it and make sure that it could afford growing its generous distributions. Stanley Works (SWK), which a diversified worldwide supplier of security solutions for commercial applications as well as tools and engineered solutions for professional, industrial, construction and do-it-yourself use, increased its quarterly dividend by 3.1% to 33 cents a share. The comment by Chairman and Chief Executive Officer John F. Lundgren was particularly bullish: "We remain very focused on the total return we deliver to shareholders and know that our dividend is a key component. We are proud to not only have maintained our dividend during this challenging period, but to raise it for the 42nd consecutive year in the face of this tumultuous economic environment." This dividend aristocrat currently yields 3.40%. Besides Stanley Works, several MLPs also raised distributions over the past week. Master Limited Partnerships have kept distribution increases despite the credit crunch, which is why many dividend investors are flocking this sector. MLPs offer both appealing current yields but stable and growing distributions. Not all MLPs are created equal however; the most stable ones are engaged in transportation of oil or natural gas. El Paso Pipeline Partners, L.P. (EPB), which engages in the ownership and operation of natural gas transportation pipelines and storage assets, announced that its Board has approved a 1% increase over the last quarterly distribution of 32.50 cents per unit. The new distribution rate is 33 cents/unit. 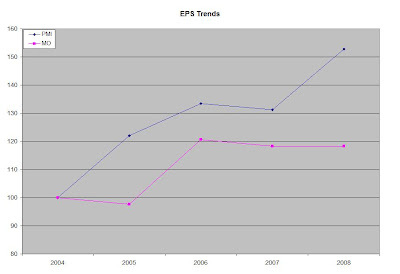 This is the 6th consecutive distribution increase for El Paso Pipeline Partners, L.P. since it went public in 2007. The units currently yield 7.00%. TC PipeLines, LP (TCLP), which transports natural gas from the western Canada Sedimentary Basin (WCSB) to various downstream markets in the United States, increased its quarterly distributions by 3.5% to 73 cents per unit. This is the tenth consecutive year where TC PipeLines, LP has increased its distributions. The units currently yield 7.50%. Holly Energy Partners, L.P. (HEP), a master limited partnership which operates a system of refined product and crude oil pipelines, storage tanks, and distribution terminals primarily in west Texas, New Mexico, Utah, and Arizona, raised its quarterly distributions to 78.50 cents per unit, a 1.30% increase over last quarters distribution of 77.50 cents. This is the 19th consecutive quarterly distribution for Holly Energy Partners, L.P. The units currently yield 9.00%. Suburban Propane Partners, L.P. (SPH), announced that its Board of Supervisors declared the 22nd increase in the Partnership's quarterly distribution from $0.815 to $0.825 per Common Unit. This master limited partnership engages in the distribution of propane, fuel oil, kerosene, diesel fuel, gasoline, and refined fuels, as well as marketing of natural gas and electricity in deregulated markets. Suburban Propane Partners, L.P.. is a dividend achiever, which has increased its quarterly distributions in each of the past eleven years. The units currently yield 7.60%. Sunoco Logistics Partners L.P. (SXL), declared a cash distribution for the second quarter of 2009 of $1.04 per common partnership unit, which is a 2.5 percent increase over the prior quarter. The partnership engages in the transport, terminalling, and storage of refined products and crude oil, as well as the purchase and sale of crude oil in the United States.. Sunoco Logistics Partners L.P has regularly increased its quarterly distributions since 2002. The partnership currently yields 7.60%. Western Gas Partners, LP (WES), declared a cash distribution of $0.31 per unit for the second quarter of 2009, representing an increase of $0.01 per unit over the prior quarter. Western Gas Partners, LP is a growth-oriented Delaware limited partnership formed by Anadarko Petroleum Corporation (APC) to own, operate, acquire and develop midstream energy assets. The partnership currently yields 7.20%. Park Electrochemical Corp. (PKE) increased its quarterly dividend by 25% to 10 cents per share. The company develops, manufactures, markets, and sells digital and radio frequency/microwave printed circuit materials for the telecommunications and Internet infrastructure, and computing markets; in addition to composite materials and parts for the aerospace markets. Park Electrochemical Corp. does not follow a pattern of regular dividend increases. In addition to that the stock currently yields 1.70%. Lindsay Corporation (LNN) increased its quarterly dividend by 7% to 8 cents per share. Lindsay Corporation manufactures and sells automated agricultural irrigation systems that enhance or stabilize crop production while conserving water, energy, and labor. It operates in two segments, Irrigation and Infrastructure. 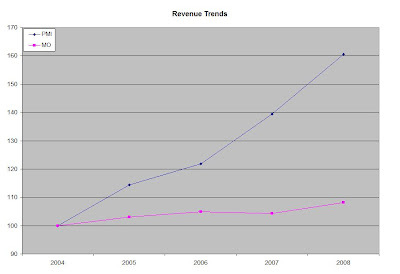 The company started to regularly raise distributions in 2003. The stock currently yields 0.80%. CARBO Ceramics Inc. (CRR), which engages in the manufacture and supply of ceramic proppant primarily used in the hydraulic fracturing of natural gas and oil wells, raised its quarterly dividend by 6% to 18 cents per share. This dividend increase represents the ninth consecutive year the company increased its dividend to shareholders. The stock currently yields 1.90%. Reinvested dividends have contributed most all of the stock markets total returns over large periods of time. Some dividend investors automatically reinvest their distributions over time, which leads to compounding of their income and principal. Others do not reinvest automatically and instead wait for distributions to accumulate before adding onto existing positions or initiating new ones. Dividends could be either sitting there or get reinvested. The beauty of dividends is that it is under the discretion of the individual investor to purchase more stock, buy equity in a different company/investment or spend it another way. I do reinvest only a portion of my stocks directly; most other times however I let my dividends accumulate and I either re-invest in the same stock/s or in new stocks that have been on my watchlist. It is important to keep costs as low as possible when allocating dividend income for reinvestment. Thus it is wise to open a discount brokerage account at places such as Zecco, Tradeking, Scottrade or Sharebuilder, which have relatively easy to use platforms and low commissions for stock trades. I don't typically look at dividend reinvestment on an issue-by-issue basis, but through the lenses of a diversified dividend portfolio. If I had received enough dividends to purchase an additional position and I had to choose between investing in the energy company Chevron (CVX) or the consumer staple Johnson & Johnson (JNJ) I would most likely reinvest my distributions into the energy sector if I were under allocated there.I also do not reinvest dividends if the companies I own do not pass my entry criteria at the time or companies which are way off base my entry criteria. I am a little more relaxed when it comes to reinvesting dividends versus initiating a position in a stock. I could reinvest dividends even if the payout ratio increased beyond 50% to say 60% or even if the current yield is about 2.70% and not 3%. I am pretty strict however about not paying more than 20 times earnings on a given stock. This is the main reason why I automatically reinvest only some of my position in Realty Income (O). Selective dividend reinvestment avoids purchasing overpriced shares with your monthly or quarterly distributions, which could be a real drag on total returns and portfolio income. It is important however not to get overallocated in a particular stock or group of stocks as well, as diversification should be also taken in consideration when dividends are being reinvested. Enterprise Products Partners L.P. (EPD), a midstream energy company, which provides services to producers and consumers of natural gas, natural gas liquids (NGL), crude oil, and petrochemicals, increased its quarterly distributions by 5.60% to 54.50 cents per share. 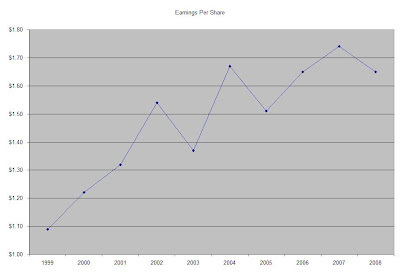 Enterprise Products Partners L.P. is a dividend achiever, which has increased its quarterly dividend in each of the past eleven years. The stock currently yields 7.80%. A. O. Smith Corporation (AOS), which, increased its quarterly dividend by 2.60% to 19.50 cents per share. A. O. Smith Corporation is a dividend achiever, which has increased its quarterly dividend for 16 consecutive years. The stock currently yields 2.00%. Harleysville Savings Financial Corporation (HARL), which provides various banking services in southeastern Pennsylvania, boosted its quarterly dividend by 5.60% to 19 cents per share. Harleysville is a dividend achiever, which has increased its quarterly dividend for more than a decade. The stock currently yields 4.90%. Fastenal Company (FAST), which operates as a wholesaler and retailer of industrial and construction supplies, boosted its semi-annual dividend by 5.70% to 37 cents per share. In addition to that Fastenal’s Board of Directors authorized purchases of up to 2,000,000 shares of its common stock. This authorization replaced any unused authorization previously granted by the Board of Directors. Fastenal Company did not purchase any of its outstanding common stock during the first half of 2009. Fastenal Company is a dividend achiever, which has increased its annual dividends since 1999. The stock currently yields 2.20%. Ryder System (R), which provides transportation and supply chain management solutions, increased its quarterly dividend by 8.7% to 25 cents per share. Ryder System has regularly increased its quarterly since 2005. The stock currently yields 3.70%. ONEOK (OKE), which engages in the purchase, transportation, storage, and distribution of natural gas, increased its quarterly dividend to 42 cents per share. ONEOK has increased its quarterly dividend in each of the past 7 years. The company is the general manager behind the master limited partnership Oneok Partners (OKS). The stock currently yields 5.30%. Unum Group (UNM), which provides group and individual disability insurance products, announced a 10% boost to its quarterly dividend to 8.25 cents per share. This is the first dividend increase for Unum Group since the company slashed its payment in 2003. The stock currently yields 1.80%. Landstar System (LSTR), which is a non-asset based transportation and logistics services company, providing transportation capacity and related transportation services to shippers, raised its quarterly dividend by 13% to 4.50 cents per share. Landstar System has regularly increased its quarterly dividend in each of the past four years. The stock only yields 0.50%. Duncan Energy Partners L.P. (DEP), a master limited partnership which engages in gathering, transporting, marketing, and storing natural gas, as well as in transporting and storing natural gas liquids (NGLs) and petrochemicals, increased its quarterly distributions by 3.60% to 43.50 cents per unit. While Duncan Energy Partners L.P. has only been publicly traded since 2007, the partnership has managed to hike distributions at least once per year over the same period. The partnership units currently yield 9.60%. Healthcare Services Group, Inc. (HCSG), which provides housekeeping, laundry, linen, facility maintenance, and food services to nursing homes, retirement complexes, rehabilitation centers, and hospitals, boosted its quarterly dividend by 6% to 19 cents per share. This was the 24th consecutive quarterly dividend increase for Healthcare Services Group, Inc. The stock currently yields 4.00%. Anworth Mortgage Asset Corporation (ANH), a mortgage real estate investment trust which invests primarily in securities guaranteed by the U.S. Government, increased its quarterly dividend to 32 cents per share. Anworth generates income for distribution to shareholders primarily based on the difference between the yield on its mortgage assets and the cost of its borrowings. Although the stock currently yields 17.00%, its quarterly distributions have fluctuated between a high of 79 cents/share in 2001 to a low of 2 cents/share in 2005. I would put Fastenal Company (FAST), A.O. Smith Corporation (AOS), Enterprise Products Partners L.P. (EPD) and Harleysville Savings Financial Corporation (HARL) on my watchlist for further research. I recently managed to get a hold of the letters of the original Buffett Partnership. In those letters Warren Buffett describes the investment strategies employed by the partnership, the structure of the partnership as well as the fees that the limited investors paid for performance. These partnership letters are different than Berkshire Hathaway’s (BRK.a, BRKb) letters to shareholders. Buffett wrote them between 1959 and 1969 and sent them out to the limited investors of the Buffett Partnership. He also provides additional information, which allows aspiring value investors to better understand how the young Buffett made his investment decisions early in his career. The fees that Buffett was charging his limited partners were solely based on his performance. After all the partnerships merged into a single one in 1962, Buffett would get 25% of any profits over 6% that he partnership generated. In other words, if the partnership earned less than 6%, which was most probably how much it could have earned in fixed income, Buffett would get not compensation. In one of his 1962 letters to limited partners, Buffett explained in detail the strategies he used to generate excessive returns. The first group of companies (generals) he invested in was undervalued securities, where his partnership would hold about 5-10% of total assets in 5-6 companies and smaller positions in another ten or fifteen stocks. This group of stocks provided a relative margin of safety when purchased but behaved just like the market. Overall his portfolio in this section was relatively diversified, and but had a very good chance to generate excessive returns in up markets. One site that provides good ideas on generals is Old School Value. The second group of companies that Buffett Partnership LTD tended to focus on was workouts. Those were stocks affected by corporate events like mergers and acquisitions, spin-offs, reorganizations and liquidations. Buffett did mention that this strategy would produce relatively stable earnings from year to year, which would make this portion of his portfolio outperform the markets in bad years, but underperform in strong markets. An example of such activity is the Pfizer/Wyeth merger announced in January 2009. The third strategy where the Buffett Partnership concentrated was control situations. These were events where the partnership would initiate a large enough position in a company and try to influence corporate policy. A famous control situation is Berkshire Hathaway (BRK.A), which started out as an undervalued position. Another important fact is that Buffett put his money where his mouth was – most of his net worth was invested in the Buffett partnership. In my research of successful companies I have found out that management which has a large chunk of their net worth in company stocks, tend to deliver more and are less likely to de-fraud individual investors. Companies where owners hold a large chunk of their net worth include Bill Gates holdings in Microsoft (MSFT), Richard Kinders holdings in Kinder Morgan (KMP) and John D. Rockefeller’s Standard Oil in the late 19th and early 20th century. You could download them all from this link. 1956 - Benjamin Graham retired and closed his partnership. At this time Buffett's personal savings were over $174,000 and he started Buffett Partnership Ltd., an investment partnership in Omaha. 1957 - Buffett had three partnerships operating the entire year. 1958 - Buffett operated five partnerships the entire year. 1959, -The company grew to six partnerships operating the entire year. 1962- Buffett merged all partnerships into one partnership. 1966 -Buffett closed the partnership to new money. 1969 - Following his most successful year, Buffett liquidated the partnership and transferred their assets to his partners. Among the assets paid out were shares of Berkshire Hathaway. - Should you follow Warren Buffett’s latest moves? Dividends represent a tangible return on investment, which investors can choose to reinvest, spend or just keep in the bank. Unlike capital gains, which can disappear quickly, dividends cannot be taken away from you once you have received. In addition to that, dividends tend to provide the only source of total returns during sideways and bear markets. When dividends are reinvested however, investors get the power of compounding on their side. The power of reinvested dividends could be seen if we concentrate of the recent stock market activities of the past decade. Back in 1999 and 2000 the internet and technology stocks were all the rage; it was not uncommon for a dot com entrepreneur selling anything from pet supplies to books to become a multimillionaire overnight after a successful initial public offering. Then the tech bubble burst, and millions of investors lost a ton of money. For example, the tech but not dividend heavy Nasdaq Composite is still below its all time highs set in March 2000. The housing bubble helped the economy turn around in the early 2000’s and we had a great run up until 2007, when once again all time highs were being hit daily. After the financial bubble burst, taking down companies like Fannie Mae, Bear Stearns, Lehman Brothers and others, stock markets took a dive to levels not seen in 13 years. 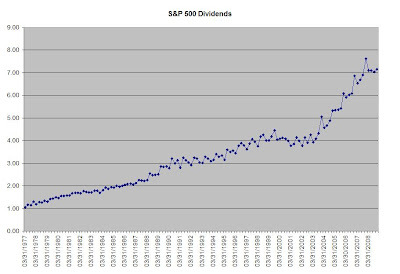 At the same time, dividends paid out by the companies in the S&P 500 increased from 16.69 points in 1999 to 28.39 points in 2008. 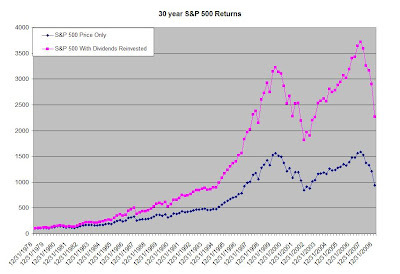 Expectations for 2009 dividends in the S&P 500 is for a drop to 21.60 points, mainly due to dividend cuts in financial related stocks. Normally however, dividend payments are not as volatile as stock prices, based off this chart of the past 32 years of quarterly payments for the S&P 500. 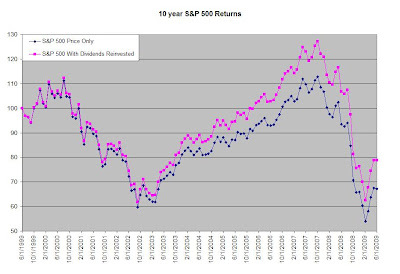 I used data on the S&P 500 ETF (SPY) to backtest the returns of S&P 500 and S&P 500 with reinvested dividends from June 30, 1999 to June 30, 2009. If you had invested $100 in the S&P 500 in June 1999 your investment would be worth about $67.10 now. If you reinvested your dividends however, the value of your investment would have been $78.80 or 17% higher. 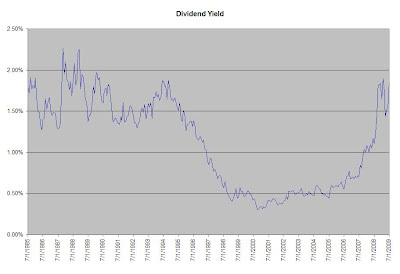 The difference of course would have been much higher had dividend yields been higher over the past decade. The 1990’s bull market brought in large capital gains for investors and high stock prices. This pushed down yields as companies spent money on buybacks and aggressive acquisitions, forgetting whom they are actually working for. For example if we look at Con Edison (ED), a New York electric, gas and steam utility, we would notice that the stock price has mainly been flat over the past decade. The stock has been supported by its strong dividend yield of 5%-6% over the past decade. Ten years is not really that long of a period. If we stretch it out to 30 years for the S&P 500, which is a period almost equal to the typical investing lifespan of an average investor in the accumulation stage, the results from reinvestment of dividends is much more pronounced. True dividend investors however understand that the S&P 500 dividends should be taken with a grain of salt, since only 70% or 80% of companies in the index pay any dividends. In addition to that careful dividend investors would most likely screen out most dividend companies in the index benchmark since only a select few have a history of consistently raising dividends for more than a decade. Dividends are a sign of quality. They force management to look at cash flow and how it invests in its business. I am confident in the ability of those companies to generate enough cash flow in order to support a growing stream of dividends. 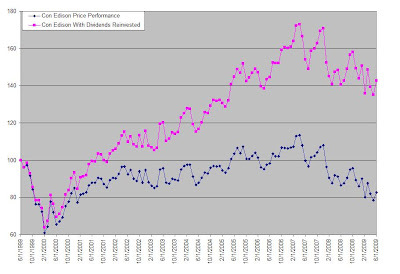 -Should you re-invest your dividends? With markets recovering from the lowest levels since 1996 and currently trading at the same levels as one decade ago, buy and hold investors’ portfolios are hurting. Dividend investors are also sharing the pain, as several prominent companies such as Pfizer, General Electric and JP Morgan have cut their dividends. Despite the fact that most major sectors have not been left without damage to dividends, the majority of the cuts have been centered in the financials segment of the market. Furthermore, despite all the gloom surrounding the stability of payments, investors who are sticking to a sound strategy of diversification, dollar cost averaging and dividend reinvestment are still enjoying increases in their dividend income. I believe that diversification is important as well. Below you could find a breakdown of the list by sector plus a link to my most recent stock analysis of each company. The thing that separates these companies from other dividend stock lists is that they have a tendency to increase their dividends consistently every year. With an average yield of 3.60% this list has generated an average dividend growth of 11% over the past decade. If history were to repeat itself over the next 6 –7 years, the average yield on cost should be double what you can get today. In the worst case I expect that the income stream growth from this list of stocks would at least match the rate of inflation over time. Full Disclosure: I have positions in all stocks above except for VFC and SWK, which I plan on buy on dips. General Mills (GIS), which manufactures and markets branded and packaged consumer foods worldwide, approved a 9% increase to its quarterly dividend to 47 cents per share. General Mills is a former dividend aristocrat, which has fought back to regain its status in the elite dividend index since 2004. The stock currently yields 3.20%. Senior Housing Properties Trust (SNH), which owns independent and assisted living communities, nursing homes, rehabilitation hospitals, wellness centers and medical office buildings throughout the United States, increased its quarterly distributions by 1 cent to 36 cents per share. Senior Housing Properties has increased its annual dividend in each of the past eight years. The stock currently yields 8.80%. MFA Financial, Inc. (MFA) announced that its board has approved a 13.6% increase in its quarterly dividend from $0.22 to $0.25 per share. The company primarily invests in mortgage-backed securities (MBS) that include hybrid and adjustable-rate MBS (ARM-MBS). The dividend is pretty volatile, ranging from a low of 5 cents a share in 2005 and 2006 to a high of 32 cents in 2002. The current yield is 14.70%. Despite the slow week for dividend increases, I am looking forward to a relatively busy July, since historically some well-known dividend aristocrats like Walgreen (WAG) and Stanley Works (SWK) tend to raise their dividends during the current month. Walgreen (WAG) has raised its dividend every July over the past five years. This dividend growth stock has been raising dividends for 34 consecutive years and has a 5-year dividend growth rate of 21.30%. Stanley Works (SWK) has raised its dividend every July over the past five years. This dividend growth stock has been raising dividends for 41 consecutive years and has a 5-year dividend growth rate of 4.20%. At the end of 2008 I was invited to participate in a passive stock-picking contest between several US and Canadian bloggers. The goal of the competition was to select the four best stock ideas from each blogger. The rules did not allow active buying and selling, which means that once you select your picks; one can’t go back and change them. Check out my original post for the rationale behind my picks. Contests are a tricky thing. Most participants might choose riskier stocks, which could go higher much faster if the market was bullish, versus higher quality issues, which have lower volatility. Thus observing investors making bets without having any funds at risk, is not the same as putting your money where you mouth is. The companies I selected were representative of four high yielding sectors- real estate, energy transportation, utilities and tobacco. Despite the high yields, the dividend payments seemed sustainable enough even during the financial meltdown. The average yield on the four stocks mentioned below is 6.88%. The riskiest stock of the four seems to be Realty Income (O), since real estate is one of the hardest hit sectors in the US. Kinder Morgan (KMP) and Con Edison (ED) are pretty much utility like investments, while Phillip Morris International (PM) should do fine in a crisis, as smokers find it tougher to quit. Realty Income (O) engages in the acquisition and ownership of commercial retail real estate properties in the United States. The monthly dividend company ended 2008 at $23.15 and has distributed $0.85 in dividends so far this year. At the current price of $21.92 the investment is underwater by 1.64%. This dividend achiever, which has consistently increased its distributions several times/year since 1994, currently spots a very attractive 7.90% yield. Check out my analysis of Realty Income. Consolidated Edison, Inc. (ED), ended 2008 at $38.93. At the current price of $37.42 plus the $1.18 in dividends collected during the first two quarters the investment in this provider electric, gas, and steam utility services has lost 0.85%. Currently this dividend aristocrat yields 6.30%. Check my analysis of Consolidated Edison. Kinder Morgan Energy Partners, L.P. (KMP) owns and manages energy transportation and storage assets in North America. One of the largest master limited partnerships in the US has generated a total return of 16.33% in 2009, one third of which came from this dividend achievers generous distributions. The units of this partnership currently yield 8.30%. Check my analysis of Kinder Morgan. Philip Morris International Inc (PM) manufactures and sells cigarettes and other tobacco products in markets outside of the United States of America. The largest publicly traded manufacturer and marketer of tobacco products closed 2008 at $43.51/share and has paid $1.08 in dividends in 2009. At the current price of $43.62 the investment is up by 2.74%. This dividend growth stock currently spots an attractive 5.00% yield and recently announced its expectations to return some $9 billion in cash to its shareholders during 2009 in the form of dividends and share buybacks.